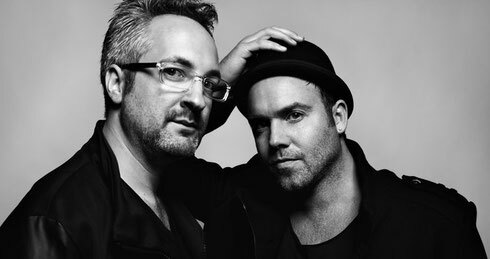 German producers Kaiserdisco are back on one of Drumcode for their sixth EP. That label is Drumcode, ‘Toleranz’, a four-track affair that features a remix from Pleasurekraft. Hamburg based Kaiserdisco have been active since 2008, and in that time have put out 30 EPs and nearly 50 remixes. They also run their own labels, KD Music and KD RAW, and are regulars on the likes of Suara and Tronic as well as various festivals and clubs. Swedish label, Drumcode is possibly one of the scene’s foremost techno labels, ran by boss Adam Beyer. Up first is ‘Get Enough’, seven minutes of techno that has an almost machine-gun like disco synth firing across the groove. It is a rumbling track with force and energy that aims to bring any floor to life. The title track, ‘Toleranz’, is a gritty and stripped back basement cut with dry hits and burrowing acid bass that aims to take you deep into the night. ‘Cobra’ aims to proves the pair have real breadth in the studio and is a big house cut with more hits, bass and techno hi hats. Remixing are the tech duo of Pleasurekraft, whose releases on OFF and Mood Records have apparently won them plenty of DJ and dancing fans. They layer in some dark melodies to ‘SQ80’ and build it steadily before allowing the militant drums and crisp snares to explode and drive you forwards.